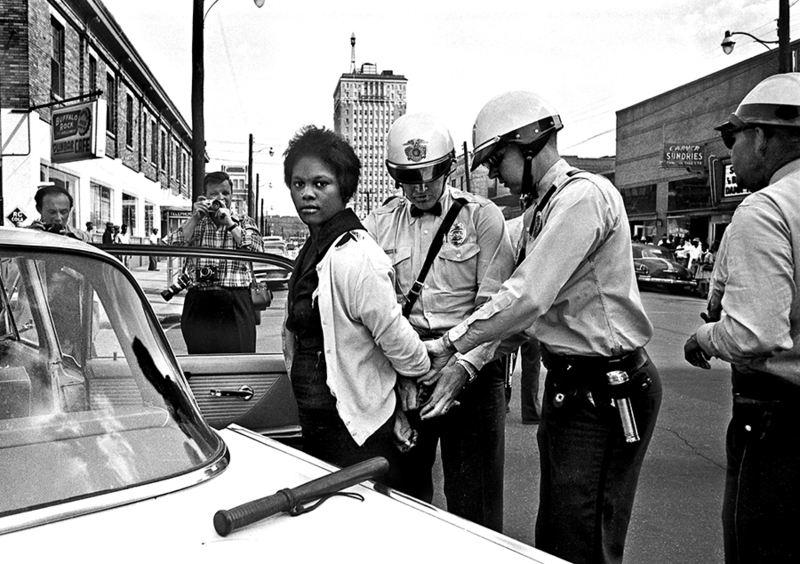 Birmingham police arrest Parker High School student Mattie Howard in front of the Carver Theatre on the sixth day of the Children's Crusade in May 1963. Photo courtesy of The Birmingham News; photo by Norman Dean. All rights reserved. Used with permission.